In Guinea and elsewhere, midwives are counseling mothers on a range of modern contraceptives and thousands are opting for a method voluntarily and immediately after the birth of a child. Oumou Hawa Sow with twins Mohamed (left) and Adama, born January 1. Conakry, Guinea — A small square of blue ink appears on the bottom of Oumou Hawa Sow’s personal health booklet. Its unremarkable size and placement in her official medical document belies the stamp’s significance — not only for the 35-year-old mother of six, and her just-born twins, but also for West Africa. 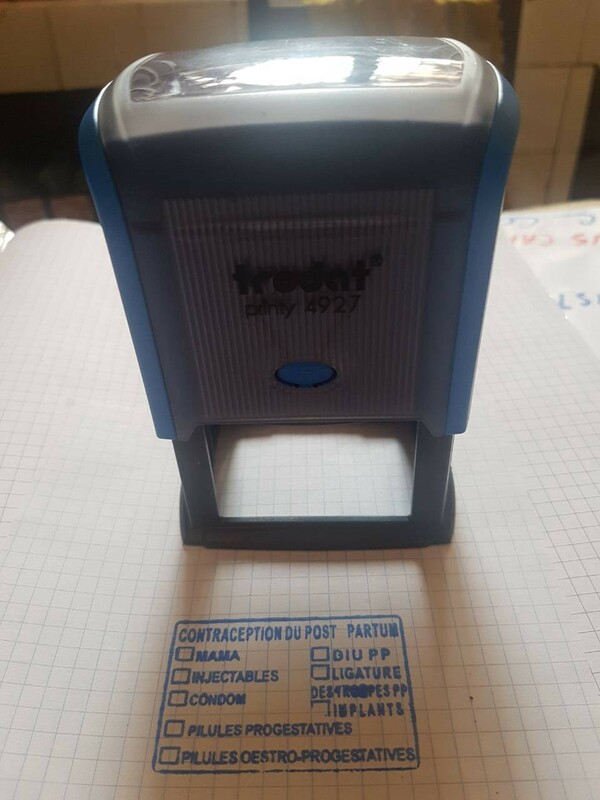 The stamp indicates that she received comprehensive family planning counseling — including on postpartum family planning — during an antenatal care visit with a midwife, and specifies Oumou’s voluntary decision to have an intrauterine contraceptive device (IUD) inserted immediately after delivering her fifth and sixth children. As a first-time user of a modern contraceptive method, Oumou joined 137,000 additional users of family planning in Guinea since 2012, according to FP2020. She represents the small but growing female ranks in her country who rely on a modern method for family planning. With just 5 percent using modern methods and 6 percent using all methods (Population Reference Bureau 2016), Guinea has the lowest contraceptive prevalence rate of Africa’s nine Francophone countries — many of which are alarmingly low. However, great opportunity lies in the fact that 80 percent of women in Guinea seek prenatal care and 40 percent give birth in a facility. With over four decades of global leadership in family planning and reproductive health, and with a long-standing history of working in West Africa, dating back to the 1980s, Jhpiego is committed to bringing integrated, appropriate, respectful and relevant family planning and birth spacing information and counseling closer to all women at any point of entry in the health system. To accomplish this goal, Jhpiego works in partnership with health ministries across the region. In Guinea, with the support of the United States Agency for International Development’s (USAID) Health Service Delivery project, Jhpiego counsels women on healthy timing and spacing of pregnancies as well as family planning methods during antenatal care and before they are discharged from maternity wards. Jhpiego’s work in this area has expanded from six to 48 sites. Over the past 6 years, Jhpiego supported West African governments in providing a modern contraceptive to 1,197,841 women who chose a method voluntarily and for the first time in their lives, and 179,857 women post-pregnancy. Like the new stamp in Oumou’s booklet that offers a choice of eight modern family planning methods, these numbers of new adopters are significant. They convey both need and hope. In this region — especially in Guinea, where Oumou works selling shoes in the market to supplement her husband’s income as a vehicle driver — too few women know about modern contraception much less have access to dependable, long-acting methods that can ensure safe birth spacing. Two years is the recommended interval between pregnancies for mothers and children to survive and thrive. In fact, the risk of prematurity and low birthweight doubles when conception occurs within 6 months of a previous birth, and children born within 2 years of an elder sibling are 60 percent more likely to die in infancy than are those born more than 2 years after their sibling. Here, unmet need for family planning hovers at 26 percent, a grim statistic related to hundreds of maternal deaths, as well as tens of thousands of unintended pregnancies and unsafe abortions. 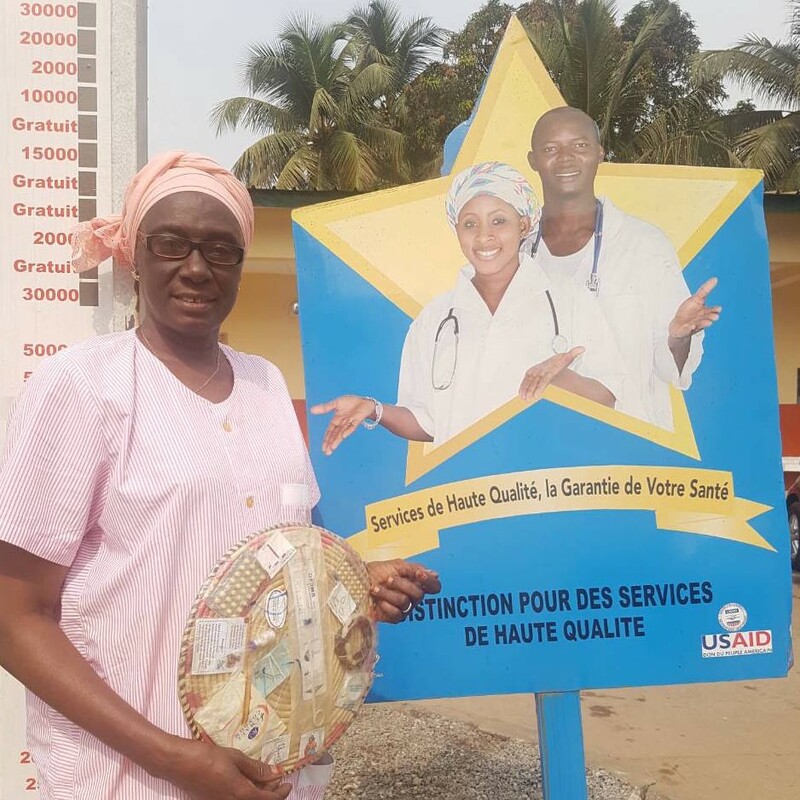 Midwife Hadja Diop oversees the family planning unit at the at the medical center in Coleah, which serves all five communes in the urban region of Conakry. Grateful as Oumou and her husband are about having this set of healthy twins — a boy and girl — they hadn’t planned on more children. Already, they had a 16-year-old, a 10-year-old and 7-year-old twins. In fact, Oumou was surprised to learn pregnancy was the reason for the unsettling symptoms that originally motivated her to consult her midwife, and shocked to learn she was already 4 months along. Her midwife, Hadja Diop, was intent on caring for this mother and child in the here and now. She also knew something about ensuring the pair’s health well beyond pregnancy, labor and delivery. Jhpiego had impressed upon her the importance of integrating family planning with antenatal care. Just as vital as taking the pregnant woman’s blood pressure was giving her accurate information about contraception and offering her a range of safe, effective methods. 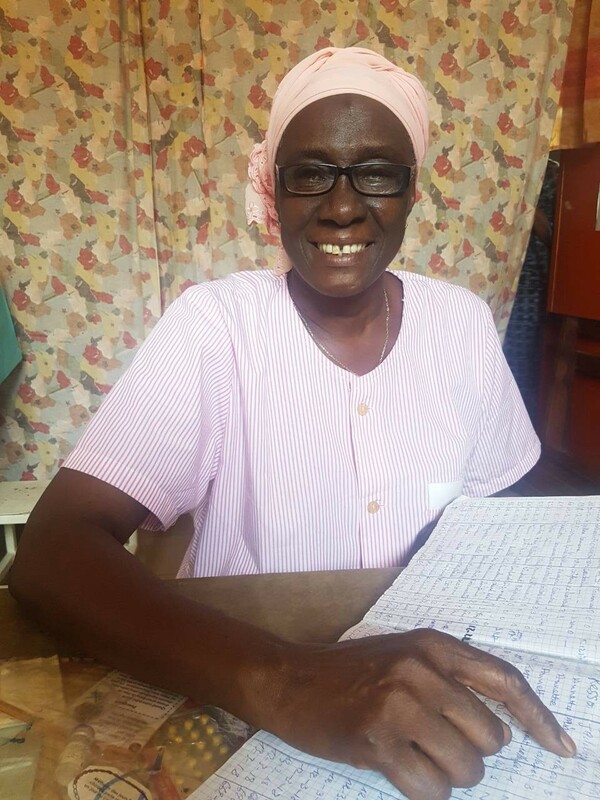 Oumou confided in Hadja that she and her husband had been using natural methods of family planning throughout their long marriage. Over the years, Oumou had breastfed her babies as a means of contraception. More recently, they had been counting days to determine when she was fertile, and avoided relations when they thought she could possibly conceive. They had not planned on having another baby, much less two more babies. Midwife Hadja Diop has received Jhpiego training on healthy birth spacing, family planning, post abortion care; in implants and IUD insertion; in postpartum family planning and postpartum IUD; and cervical cancer screening and prevention. When Hadja broached the topic of modern contraceptive methods, Oumou said she hadn’t ever seriously considered using condoms, pills, implants or an IUD. Her mother had advised her against all that, declaring that if she was meant to have a baby, she would have a baby. She’d also heard negative comments from others about how contraceptives would prevent her from ever being able to have children again. A friend warned they would make her fat. Hadja had recorded the pregnant woman’s weight, nodding knowingly. Misconceptions about contraception were rife in her country. She gave Oumou the facts. Some methods were permanent, she agreed. But many safe, effective alternatives were not. They could be reversed when and if the couple wanted to grow their family. Hadja had learned how to counsel women about postpartum family planning and insert postpartum IUDs during onsite, individualized training in the health facility where she works as a midwife. 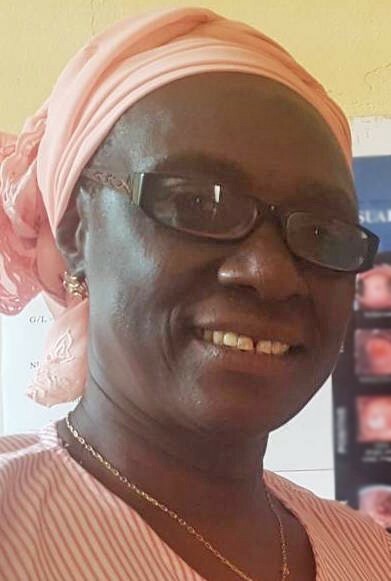 As a result, she acquired the confidence and necessary competence to mentor 13 others at her facility, 10 of whom are qualified to counsel and provide postpartum family planning and postpartum IUD. 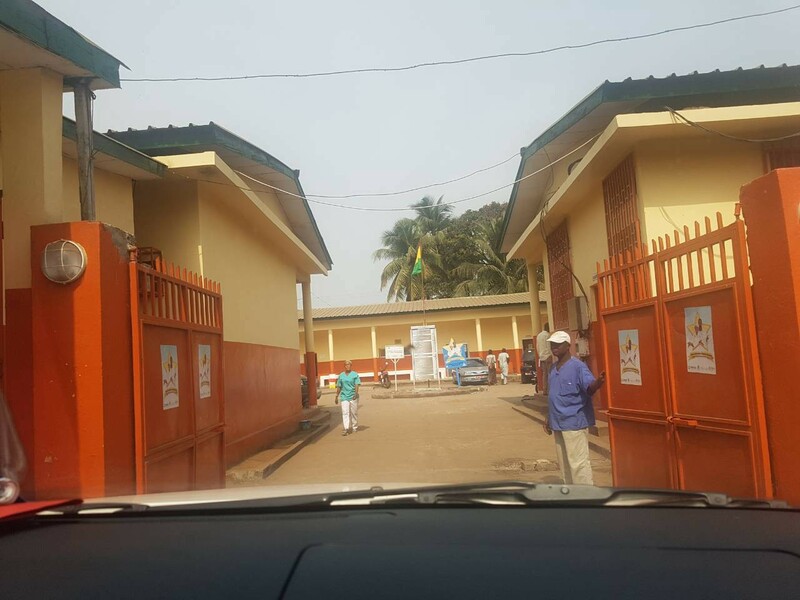 Because of Hadja’s leadership, the family planning utilization rate by clients is increasing at the medical center in Coleah, which serves all five communes comprising the urban region of Conakry. Her team counseled 840 women about postpartum family planning in 2016; and 881 in 2017. Of those, 217 women accepted an IUD postpartum voluntarily in 2016; and 286 in 2017. USAID’s global flagship Maternal and Child Survival Program, and its predecessor flagship Maternal and Child Health Integrated Program have supported this site through the years. The IUD is one option among many — including pills, implants or even sterilization — that Hadja shares with couples while educating them on healthy birth spacing issues. Midwife Hadja Diop records the names of those counseled about family planning. The initial family planning counseling session between the midwife and her pregnant client was informative and in-depth. As a result, Hadja stamped Oumou’s health booklet, alerting whoever attended her delivery that Oumou had requested insertion of a postpartum IUD voluntarily. Even so, protocol required that the provider attending Oumou’s delivery ask again for confirmation of her decision, and delay any previously planned procedure if the woman then felt the need for more time to consider various options, or had simply changed her mind altogether. 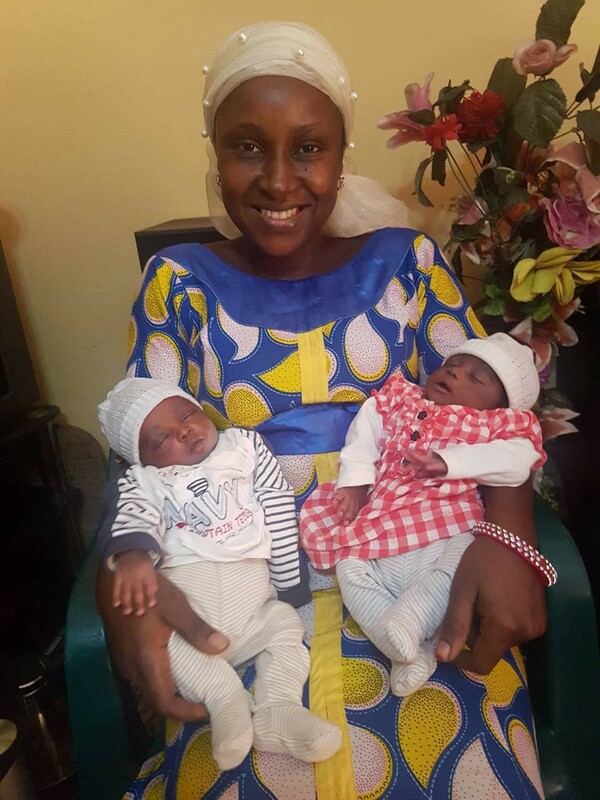 Oumou, whose twins arrived on January 1, 2018, never wavered in her original decision to accept a modern method voluntarily. She and her husband agreed that a long-acting, reversible method would suit them; an IUD was inserted immediately after the twins’ birth. The couple wanted peace of mind for years to come, with no counting of days required. 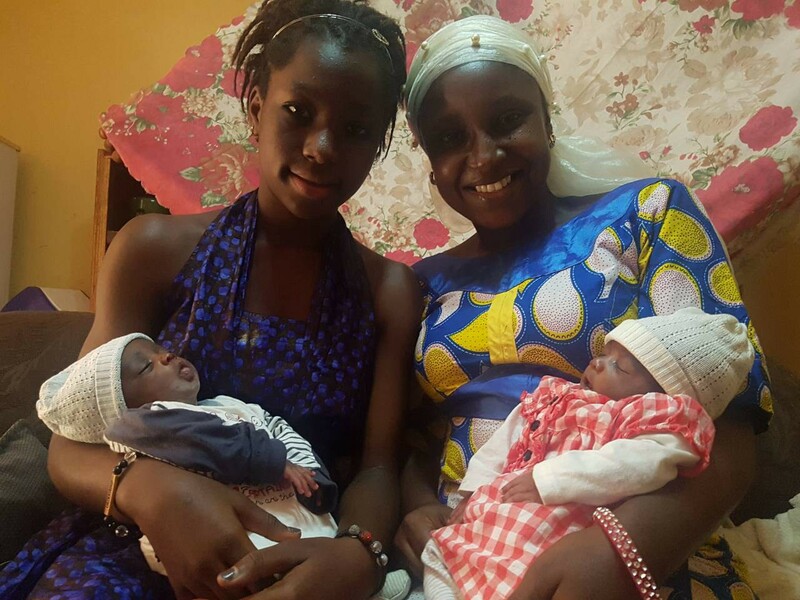 Oumou’s eldest daughter, Racida, helps show off the newest family members. — Photos by Jacqueline Aribot. An affiliate of @JohnsHopkins, we are saving lives, improving health and transforming futures.